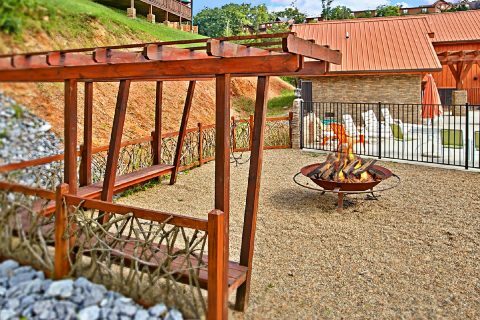 Welcome to "Rest Assured," a pet friendly lodging in Pigeon Forge near Dollywood Amusement Park and the exciting attractions of the Parkway. 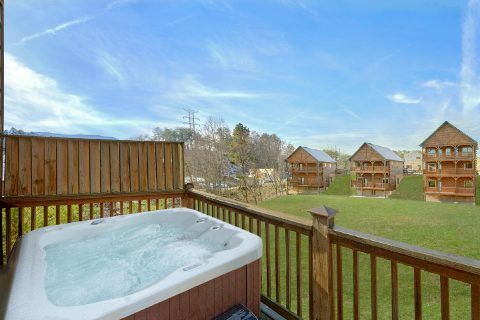 Your pet friendly resort in Pigeon Forge grants guests staying at this cabin access to the seasonal outdoor swimming pool as well as resort community features, such as a fire pit, for the entire family to enjoy! 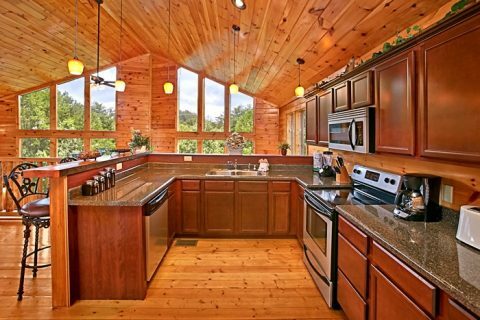 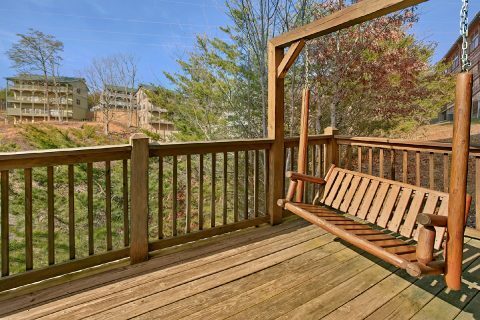 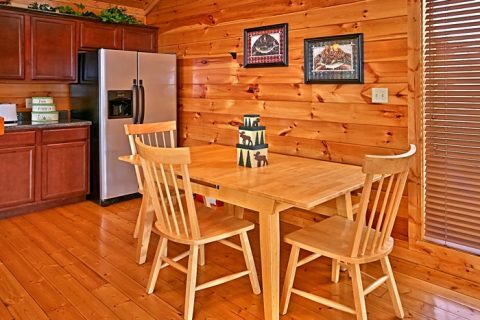 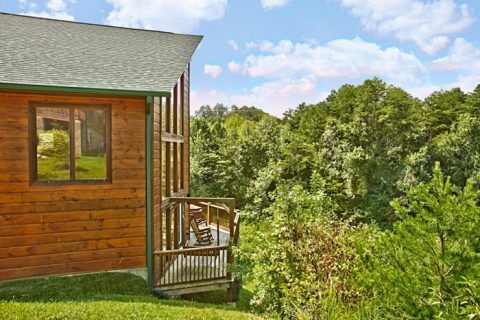 This affordable, yet elegant 2-bedroom Pigeon Forge pet friendly cabin overlooks the Gatlinburg Golf Course. 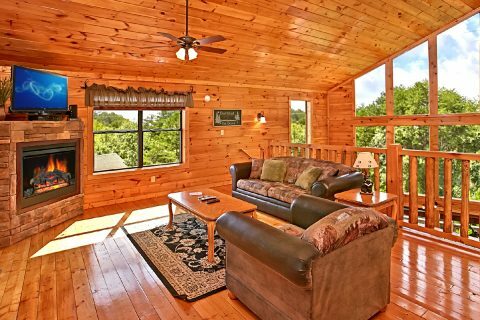 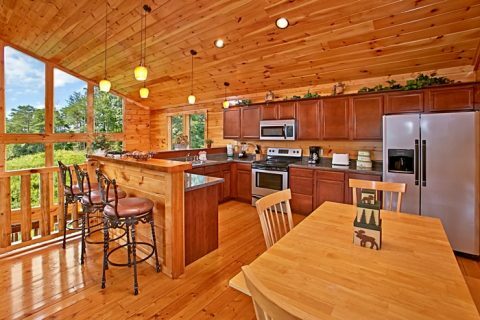 Your 5-Star Rated resort cabin is filled with stylish furnishings and décor, creating a warm, welcoming atmosphere. 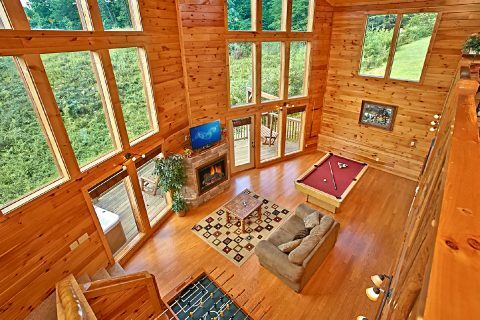 Enjoy playing games of pool while dinner cooks in the spacious kitchen with breakfast bar or out on the charcoal grill. 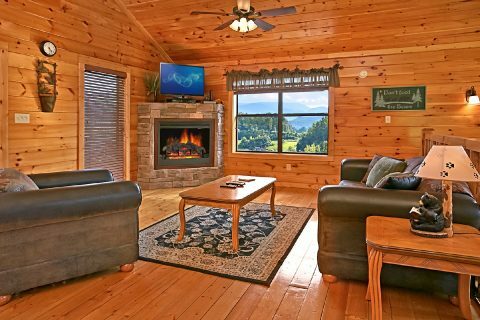 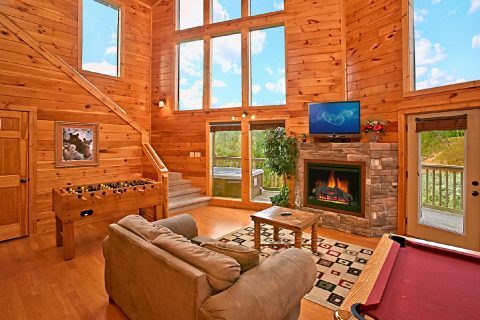 Take in the scenic Smoky Mountain views from your vacation lodging's large panoramic living room windows while watching a movie in the living room or game room. 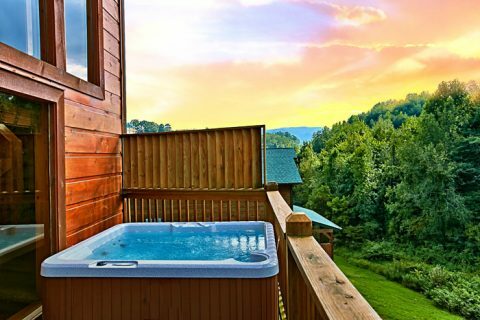 Relax in your outdoor hot tub listening to the Dollywood train whistle. 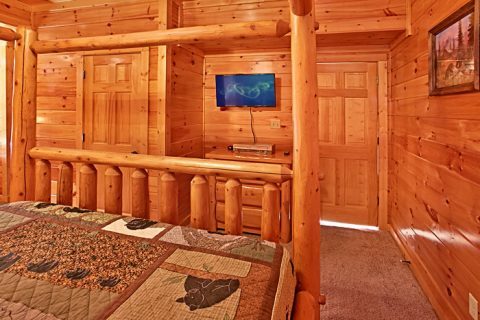 Keep in touch and stream your favorite shows and movies with this pet friendly lodging in Pigeon Forge's free WiFi Internet. 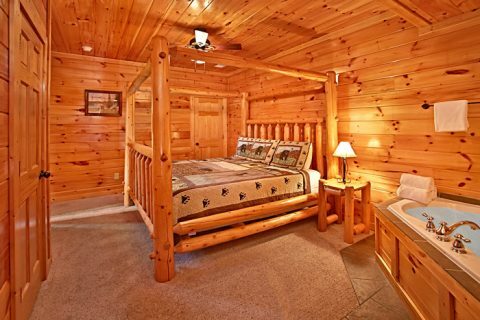 When it's time to turn in for the night, each of the bedrooms offers king-size, log beds and personal televisions to help you unwind. 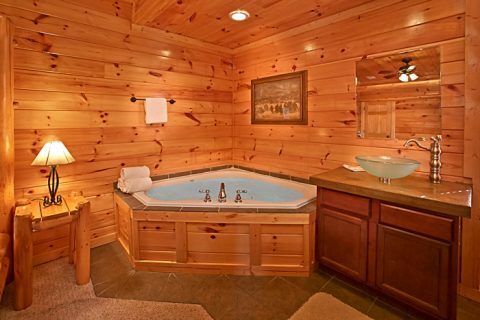 The master suite even boasts it's own in-room jacuzzi tub. 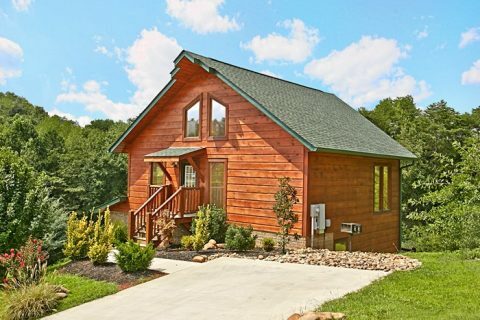 Accommodating up to 6 guests, this pet friendly lodging in Pigeon Forge is great for friends or couples that love to golf. 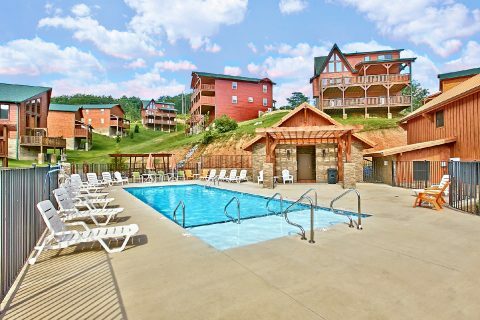 Grab some time on the green at the Gatlinburg Golf Course, just across the street. 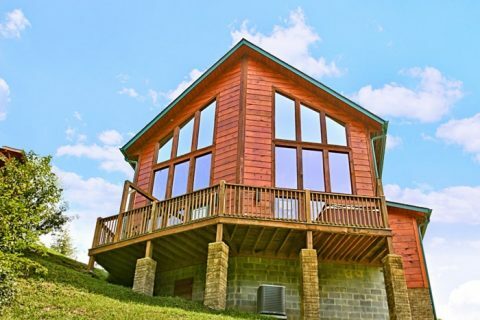 Additionally, your family is less than a mile off the action packed Pigeon Forge Parkway filled with endless adventures. 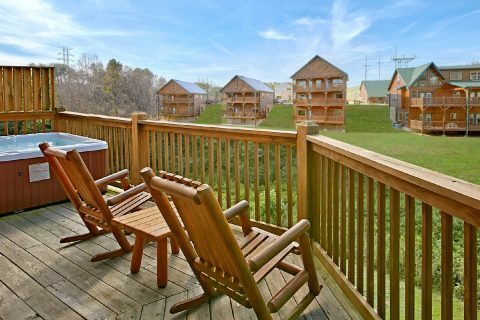 Bear Cove Falls Pigeon Forge is a pet friendly resort in Pigeon Forge that aims to make your vacation great for the entire family. 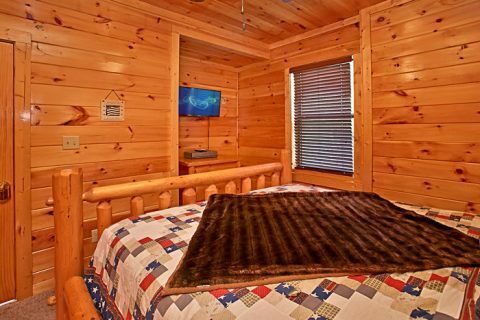 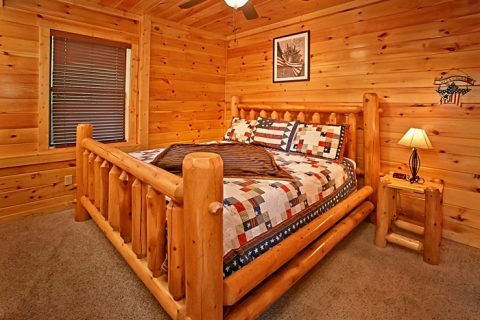 Book "Rest Assured" or lodging pet friendly lodging in Pigeon Forge online with Cabins USA for an immediate Online Cabin Discount!